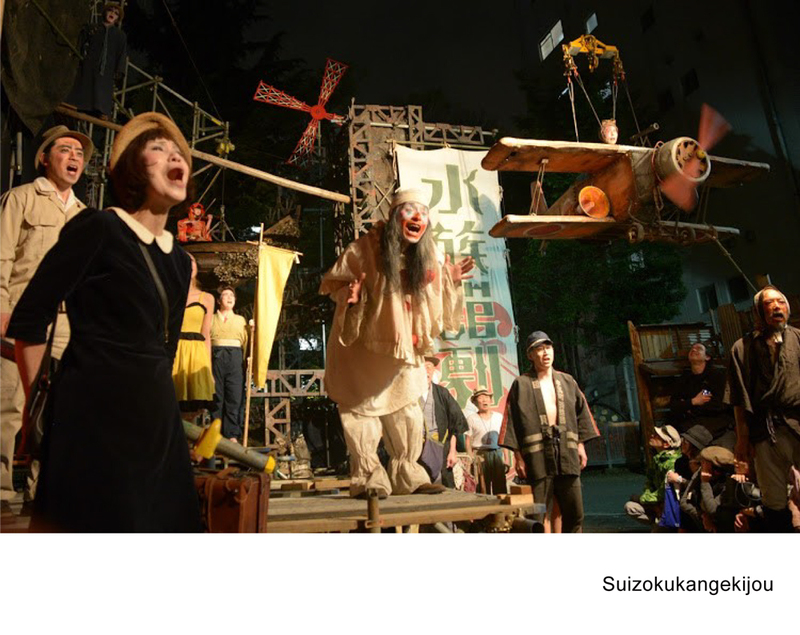 A play set in Yokohama will be performed in an enormous tent theater suddenly appearing in the midst of the city. Suizokukan Gekijou was established in 1987. Wandering the country as modern-day kawaramono (literally “riverbank dwellers,” historically a class of outcasts who lived in dried-up riverbeds), Suizokukan Gekijou developed as a unique theater troupe who brought hidden aspects of history to light while exploring the primal roots of performing arts. Now, they set up a tent like a phantom island in the heart of one of Japan’s largest day-laborer communities, Kotobuki-cho, where the population is aging and increasingly isolated. The catharsis emerging from the spectacular trick stage and several tons of water flowing down like a waterfall will create a new legend in the city. In-kind Contribution: MATSUO KOMUTEN Co., Ltd.
*releases on same day from 17:00 at the theater.